Brazil did not play badly in South Africa but other than in the game against Chile they did not play well. They certainly did not play the jogo bonito. 1-0 up against Holland at half time, the in game betting odds setters had them in the semi-finals by a mile. If that second half could be replayed simultaneously a dozen times then Brazil would probably qualify ten or eleven times. But in the only one that counted a combination of bizarre indiscipline and poor set piece marking left them out. 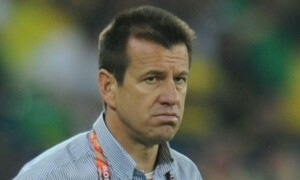 Dunga will probably never understand how it happened, how 4 years hard work evaporated in 30 mad minutes. But if you live by the Felipe Melos of this world then you die by them. Holland, a poor hard team took their chance and the rest is history. Within a week Dunga was gone, resigning and being sacked. 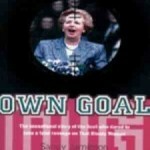 The German coach Low showed how it might have been. Ozil has similar first team experience to Ganso, no more. Pato has more first team experience and goals than Thomas Muller, as does Neymar. Low brought them, used them and flourished. Dunga left them at home and floundered. The Brazilian FA had a strange experience choosing Dunga’s successor. Their first choice for the job turned them down. Muricy Ramalho won the Brazilian League 3 years in arrow with Sao Paulo. After a wee hiccup with Palmeiras he is currently leading Fluminense to a 4 point lead in the 2010 Brazilian Championship, a prospect he obviously felt was preferable to taking on the Brazilian national team. The second choice Mano Menezes showed no hesitation and signed up immediately. Menezes took Gremio from the Second Division to a Copa Libertadores Cup Final in 2007, then took Corinthians from the Second Division to the Sao Paulo State League and Copa Brazil double in 2009. His job remit is simple. Restore Brazil to playing traditional Brazilian style football and with that style sweep everything before them all the way to outstanding victory in the 2014 World Cup Final due to be played in Brazil. Easy peasy. 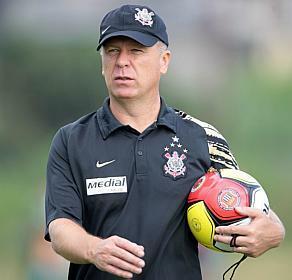 Interestingly Menezes would seem to be a coach whose club teams play a style of football similar to that favoured by Dunga, with two holding defensive midfielders. Although with Corinthians he often played with three forwards including a rejuvenated Ronaldo. However his personality is different, warmer, more open, less flinty, more able to say the right things. He impressed the Brazilian FA and subsequently the Brazilian press with his eloquent commitment to Brazilian style beautiful football. That is the way Brazil will play under him. Within days of his appointment he picked a pool for the first friendly game, away to USA that only contained 4 of the Dunga World Cup squad, Dani Alves, Thiago Silva, Ramires and Robinho. And he called up Neymar, Ganso and Andre from Santos along with Pato, Hernanes, Andre Santos and David Luiz. Last Wednesday, his new team played USA off the park, routing them 2-0 with a display of attractive attacking football. He played two attacking full backs Dani Alves and Andre Santos. His centre backs Thiago Silva and David Luiz, both wanted by Mourinho for Real Madrid, can be a formidable pair to replace ageing Lucio and Juan for the next 4 years. He did play 2 holding midfielders Liverpool’s Lucas and Chelsea’s Ramires but let Ramires pour forward frequently. Chelsea have got a very good player here. But it was up front the major change was noted. He played a front three of Robinho, Pato and Neymar, supported by a very offensive Ganso. As any regular punter knows, moving from 3 to 4 allows many more permutations and options and this front four provided exactly that, helped by the Santos 3 having played together all year. Pato was replaced in the 2nd half by Andre so for 4 minutes the 4 Santos boys were together again, a sight Santos fans will never see again. Neymar and Pato rewarded Menezes’ faith with the two goals and Ganso was the outstanding player on the park. The other day Kaka in a major interview praised Neymar but made it clear that in his view Ganso was the best of them all, the one with the greatest future. OK it was just a friendly, and the USA with Villarreal’s Altidore only getting 45 minutes, did not seem too motivated. But the important thing was the commitment made and delivered on to play the promised style of attacking football. The smile is back on the face of Brazilian football and Menezes is committed to keeping it there. He has already shown his faith in the talented young players who can help him to do so. Last night at a sponsors gala called the New Face of Brazilian football he and old legend Zagalo urged Neymar and Ganso to stay with Santos at least for another year. They are both obviously going to be in Menezes’s team for years to come. Tomorrow LSA will report on the other reason why there is a smile on the face of Brazilian football as Inter PA take a two goal lead in to second leg of the Copa Libertadores Cup Final to be played in Porto Alegre.